Digital Imaging LED Indirect Ophthalmoscope w/ sofware. 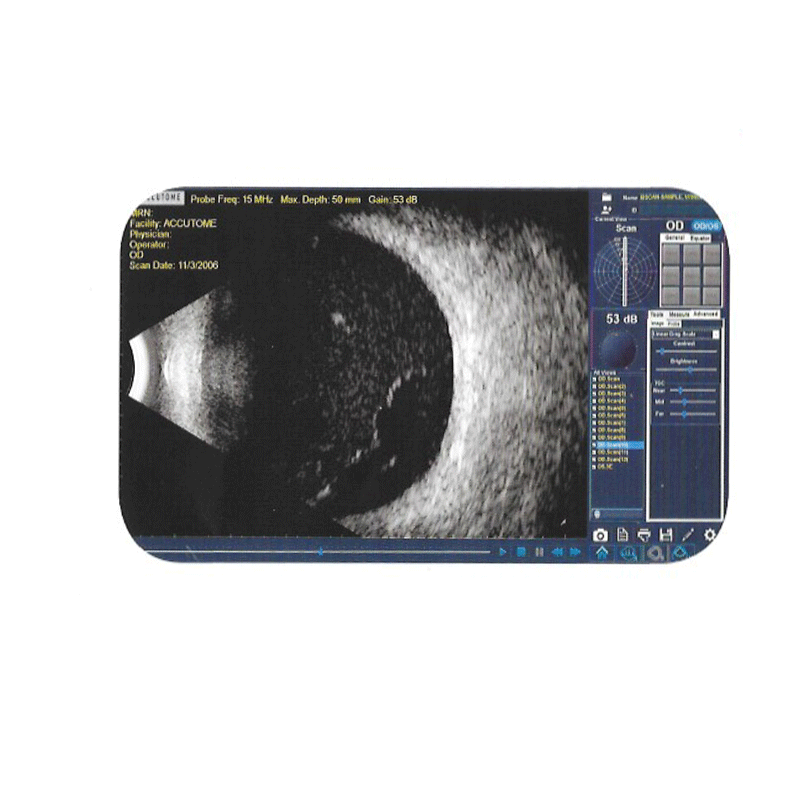 A single solution ultrasound imaging at an affordable price. Combined A-Scan. B-Scan, UBM, and pachymeter. For anterior segment imaging. Features an all-in-one probe design to eliminate signal loss and provide sharpest image. Software solution for managing ultrasound patient workflow, including A-Scan, B-Scan, and/or UBM. Console auto configuration for optimum operating parameters for any given probe characteristics. Teaching mirrors, Scleral Depressors; Batteries; and a wide variety of accessories. Pocket model, portable and compact. Specialist model, Xenon illumination; expanded dioptor range; premium optics. Parallel optics, LED light source, 5 magnifications, multiple filters, and more. Parallel optics, LED light source, 3 magnifications, multiple filters, and more. Vantage Plus indirect ophthalmoscope w/ LED illumination, wireless or corded.